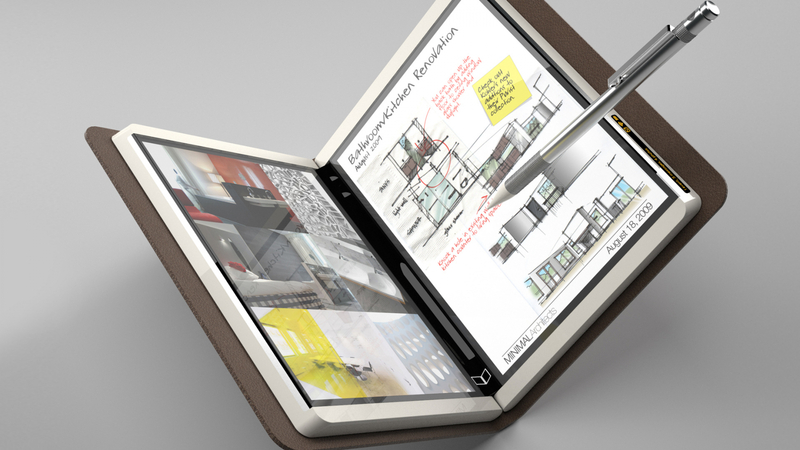 Microsoft might be revisiting Courier, the dual-screen tablet concept from 2009 that never made it into production. The product was a seven-inch, dual-screen portable PC that folded up like a book. The interface was to involve a combination of finger-swiping gestures and a stylus for writing notes or entering URLs into the browser. “[The Courier] technologies will be evaluated for use in future Microsoft offerings, but we have no plans to build such a device at this time,” Microsoft Corporate VP of Communications Frank Shaw said of the project at the time of its cancellation. Redmond is now reportedly working on a new device, codenamed “Andromeda,” that seems to be very similar to the Courier. It is a foldable device that will focus on pen and digital-ink functionality although it’s unclear if finger swipes will be relied upon. Sources within Windows Central claim Andromeda is already in the prototype phase which should not be surprising since that is where the Courier left off. The prototype is reportedly small enough to fit in a pocket when folded and runs on a Windows Core OS build of Windows 10 with CShell implementation for the displays. It is also supposed to have cellular capabilities which might swing it in the direction of a phone / tablet hybrid. However, sources say that cellular functionality is not the primary focus and that it is not intended to be a smartphone replacement. Instead, Microsoft wants to create a go-to digital notebook that people will use similar to a pen-and-paper notepad but with much higher functionality. In that respect, it is clearly a spiritual successor to the Courier project. The sources did not state what type of hardware the device will contain but with the release of the first wave of ARM-powered Windows laptops coming this December, it seems a likely bet that Andromeda will use similar architecture. Microsoft has not officially announced the project. As with anything coming from anonymous sources, take the information with a grain of salt. However, if the leaks are accurate, the Andromeda notebook could land as early as next year which means we could be getting some official news soon.